It’s not always easy to keep house plants alive. Most are self-effacing by nature — they’re background decorations. Spend a few days at a business trip and oops, your basil or cilantro is gone. Fortunately for you cold-blooded plant killers out there, a new product can stop you from claiming more victims. The Calla, which is currently being funded on Kickstarter, is completely idiot proof. 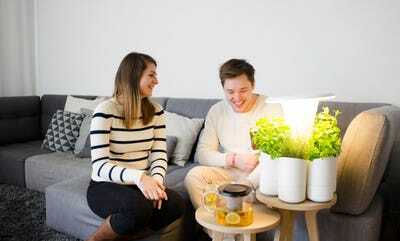 Using hydroponic technology and automated LED lighting, the planter will keep herbs or flowers fresh and healthy, with hardly any maintenance. 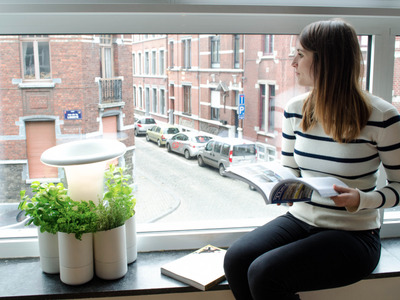 The Calla is a hydroponic planter, which means the plants don't require soil. Just fill the water tank in the middle, and an automated system will distribute the liquid, keeping plants' roots wet without over-watering. The mini-garden also features a mushroom-shaped LED light that can sense lighting conditions around it and adjust accordingly. It dims as day passes into night, simulating a natural light cycle. 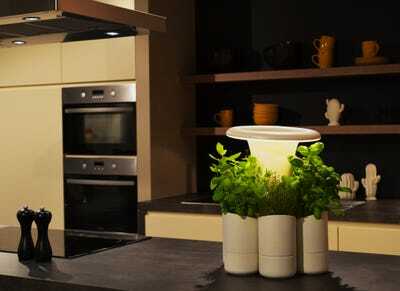 That allows you to keep the planter anywhere in the house. Each pot in the planter is its own modular unit -- you can plug as many as six into the central structure. 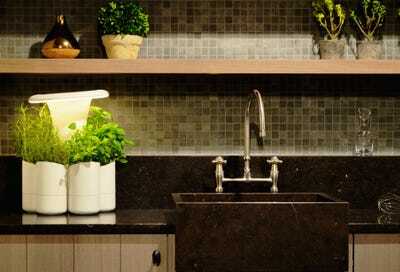 Each one can grow herbs or flowers, or simply keep store-bought herbs fresh. The only work required is replacing the water supply. A sensor will tell you when the unit has run out. Other than that, you can leave the plants alone for two weeks or even longer, depending on how many pots you have. 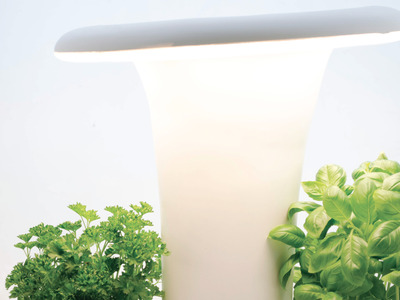 You'll be able to enjoy fresh herbs whenever you want. 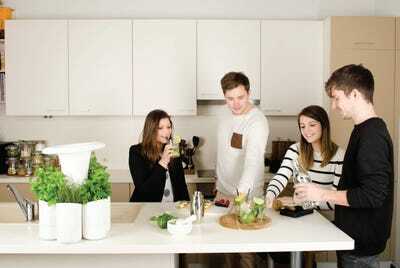 features hydroponics science-contributor science-us t.i.